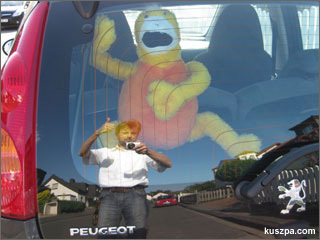 Flat Eric in the back of my car. If somebody doesn’t know who Flat Eric is, then have a look at this videos „Mr. Oizo – Flat Beat„.